Design and build of 3 retail units and associated offices on prominent street corner location. Scope of work ranged from planning application to fit-out of units. The structure consisted of a pharmacy with offices, facilities and storage on a second floor and an adjoining single storey structure which contained a hairdressers and café. The structure consisted of a combination of a steel frame and lodbearing blockwalls. 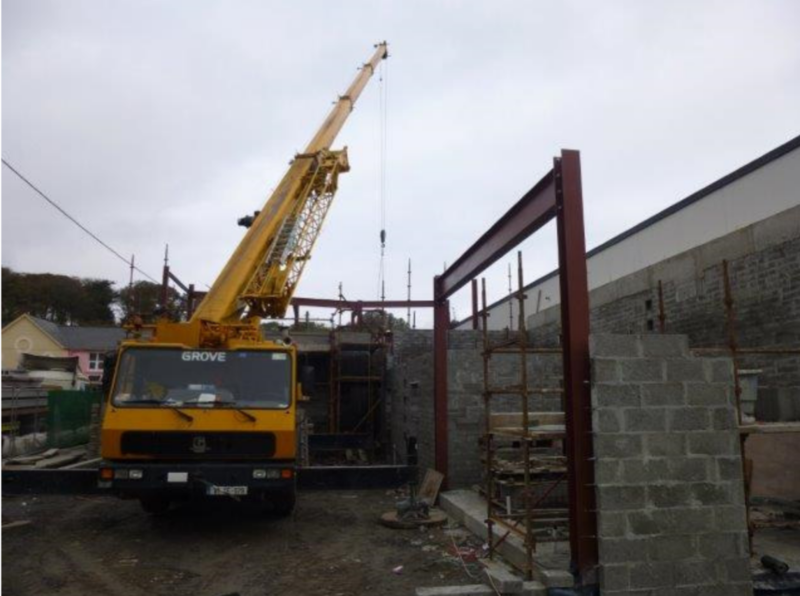 The first floor was a concrete composite slab whilset the roof consisted of metal composite panels. Extensive areas of the external facade consisted of natural stonewall cladding while other areas Baumit's insulated external render system to give a low maintenance, high insulation solution. 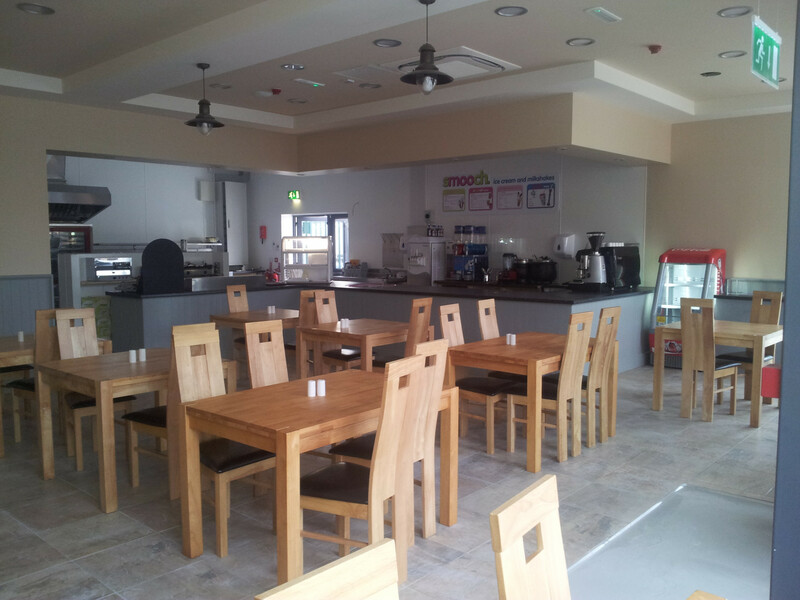 Internal fit-out was phased to meet client requirements and as PSCS Cahalane Bros co-ordinated the mechanical, electrical and decorating contractors as well as our own teams of finishing trades. 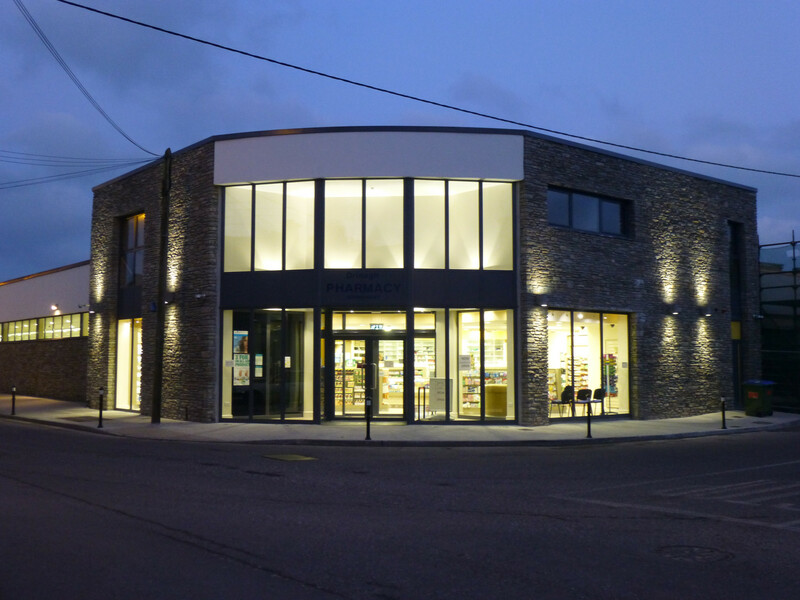 Following on from the development of the adjoining Aldi supermarket on a town centre brown-field site in Dunmanway, Cahalane Bros developed a proposal which was brought through planning to fit-out for Drinagh Co-Op. 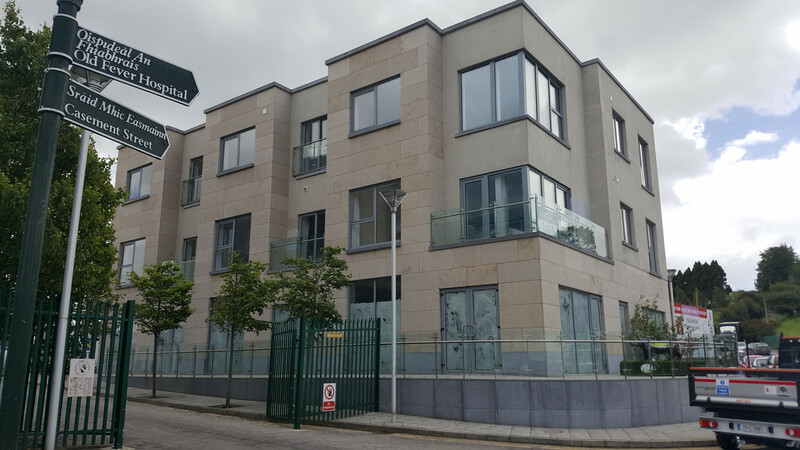 Using a combination of traditional stone wall cladding, an external insulated render system, acrylic render and an experienced glazing contractor, Cahalane Bros developed an aesthetically pleasing contemporary design. 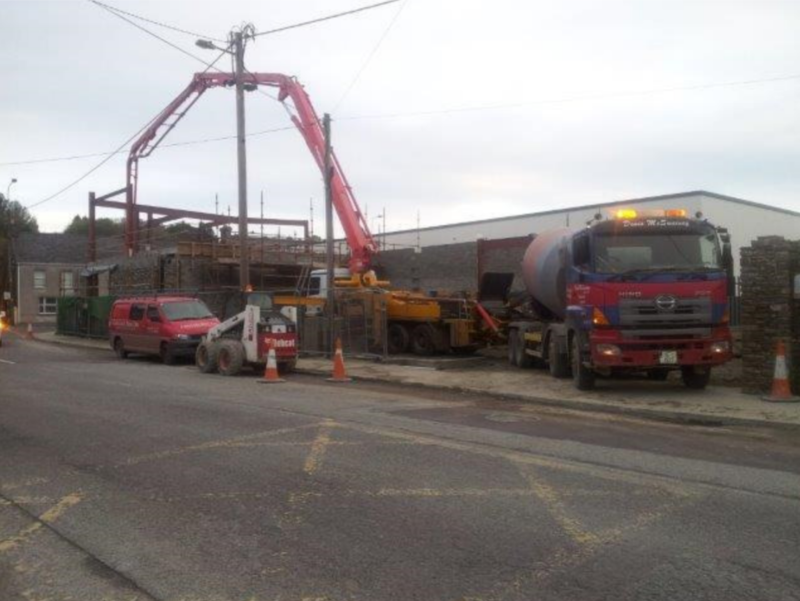 Cahalane Bros were able to supply all groundworkers, shuttering carpenters, carpenters, blocklayers, suspended ceiling erectors, dryliners and joiners from within our team. Cahalane Bros used their considerable experience and the strong relationships with M&E contractors to deliver systems which met the clients' needs at a cost which suited their budget. Cahalane Bros used 3D modelling and imaging throughout the project to help the client visualise the project and to assist subcontractors in planning works. The site was confined and bounded on two sides by busy roads. Cahalane Bros overcame these difficulties through a combination of careful project sequencing, just-in-time deliveries and off-site storage.